All of the wines are made and bottled locally by Duarte Family Vineyards and sold under the Popie Wines brand. Wines produced include an Estate Barbera and the majority of the varietals are sourced within Placer County, providing a taste unique to our region. 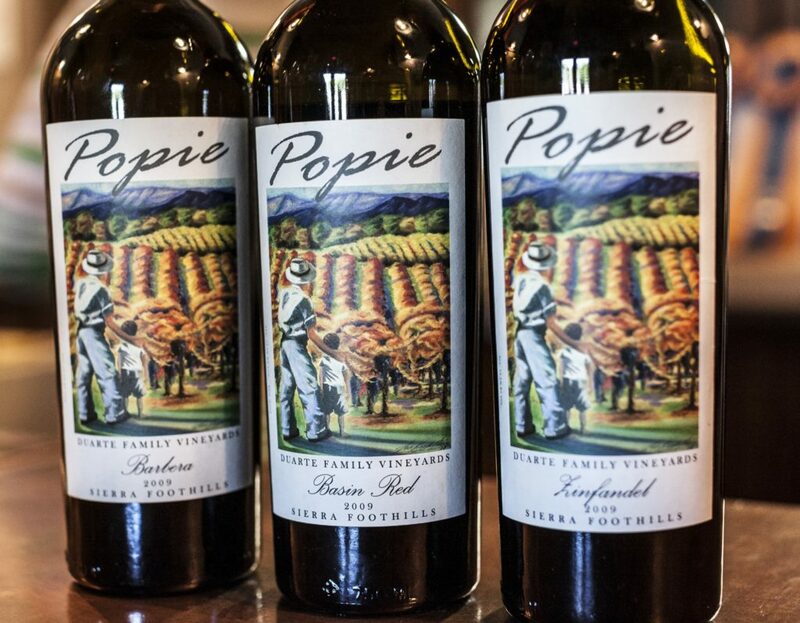 Popie is a family-owned boutique winery located in the Sierra Foothills making award-winning wines. They specialize in small lot, hand crafted wines, continuing a four-generation dedication to the land and growing high quality fruit. The winemaker, Michael is proud to carry on the family’s success as growers and has now added the craft of winemaking to the family legacy. Vine to Bottle: It all starts in the soil. The vineyard used for Barbera is located in the heart of the Loomis Basin, which is rich in agricultural history. Once known for its vineyards, the farmland was converted to fruit production during prohibition and became world-renowned for its high quality fruit. It is a tradition that continues with growing high-quality grapes on that very soil. View upcoming events on our website.